When the latest trailer for The Force Awakens dropped, a lot of people were curious where Luke Skywalker was in all the hubbub. He’s not even featured on the poster. So where’s Luke? 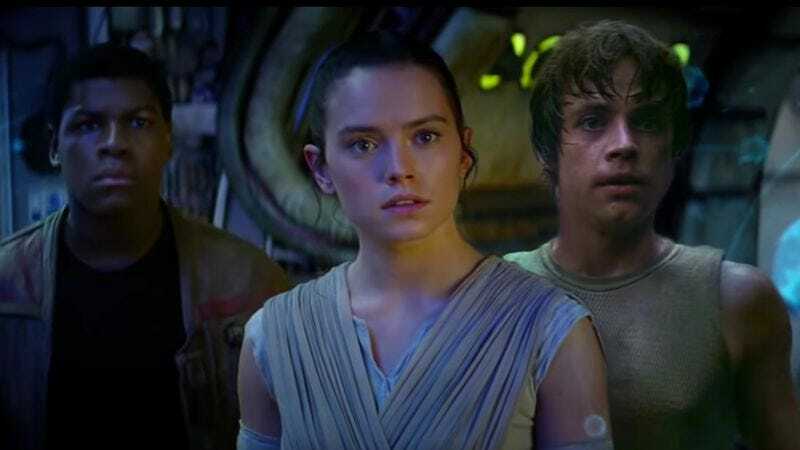 To help tide over fans of that womp rat killer, Gritty Reboots has remedied the lack of Skywalker by putting him into the trailer. Specifically, by putting him into every single scene in the trailer. As Luke is awkwardly shoehorned into most scenes, this is a fun exercise that shows that fans may want to be careful what they wish for. It starts off with just a few insert shots and superimposed faces, until eventually the whole thing is overrun by Skywalkers populating the screen. Now that Luke is back in the trailer, can the world finally focus once again on the political activism of Chewbacca?